Plus, researchers say Amazon’s FreeRTOS is vulnerable to attacks, Twilio to build NB-IoT developer platform for T-Mobile; and more news. Spending on IoT applications for inventory and supply chain management use cases will grow at a rate of 20.2 percent, reaching $113.5 billion by 2023 and topping all other IoT use cases, according to new research from Forrester covered in DC Velocity. Supply chain operators are looking to IoT technologies for help in managing supply chain relationships, tracking inventory levels and managing warehouse operations, according to coverage of the report. Investments in smart products, smart building and fleet management technologies will also drive growth. Security researchers have found vulnerabilities in Amazon’s FreeRTOS, an operating system for IoT devices powered by microcontrollers, that could enable attackers to crash connected devices in critical infrastructure systems and smart homes, according to coverage in ITPro. Researchers at IT security firm Zimperium found there are some 13 flaws in the FreeRTOS operating system that could let hackers crash devices, leak data or remotely execute code on them, allowing the devices to be compromised, according to the coverage. The flaws impact FreeRTOS V10.0.1 and below (with FreeRTOS+TCP), and AWS FreeRTOS V1.3.1 and below. 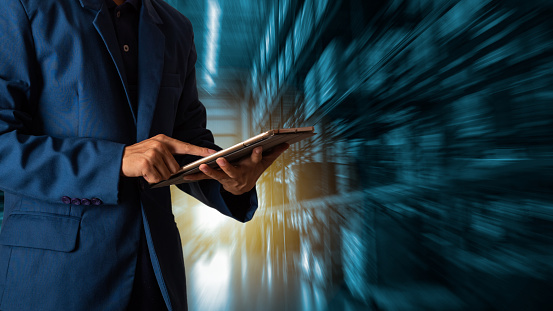 Software AG and industrial embedded hardware vendor Eurotech will integrate Eurotech’s Everyware Software Framework (ESF) with the Cumulocity IoT platform to enable out-of-the-box connectivity. This integration provides customers with secure access to the configuration details of connected devices, automated diagnostics and management as well as expert triage, according to a press release. The integration is available in all Multiservice Industrial IoT Gateways and High-Performance Edge Devices offered by Eurotech and certified by Cumulocity IoT. “By adding connectivity to the Cumulocity IoT platform, our customers can now choose from a broader range of integration options, and reduce their time to market by leveraging a configuration-based approach to building industrial IoT solutions,” Giuseppe Surace, Eurotech’s chief product and marketing officer said in a press release. Crate.io, developer of CrateDB, a SQL data platform for real-time machine data and IoT applications, announced the availability of new functionality that allows users to route data from Microsoft Azure IoT Hub or Event Hub directly to CrateDB. The CrateDB Event Hubs Connector gives developers industrial-strength time series database capabilities on Microsoft Azure, according to a press release. “The success of large-scale Industry 4.0 initiatives depends completely on users’ systems’ abilities to ingest millions of data points from connected equipment and for them to analyze and action that data in real time,” said Holger Mueller, vice-president and principal analyst at Constellation Research, in a press release. Building what it bills as the first NB-IoT developer platform in the United States, Twilio plans to launch a developer platform for T-Mobile’s NB-IoT network, according to coverage in SDxCentral. The platform includes a NB-IoT software development kit, NB-IoT modules from u-blox that are certified on T-Mobile’s network, and programmable SIM cards, according to the coverage. It will be available in early 2019. “Bee colonies can teach us how to improve our design and management of IoT networks. The beehive could be considered a truly connected city.” That’s according to two leaders from SAP Digital Interconnect, who are also beekeepers. A network of IoT devices behaves very much like a bee colony, they said, and IoT system designers and managers can take lessons from the way the colony works in keeping connectivity simple, secure and smart.